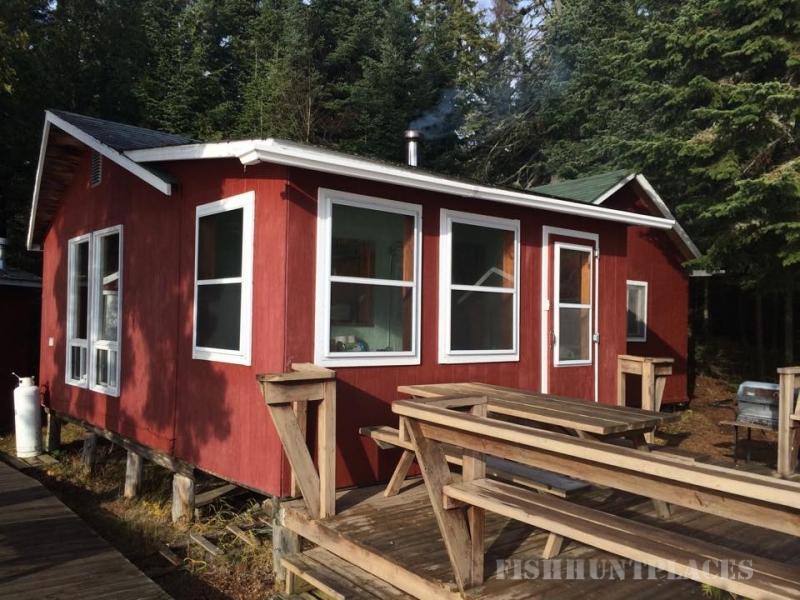 Fishing in Canada Ontario OutpostCamps Inc. 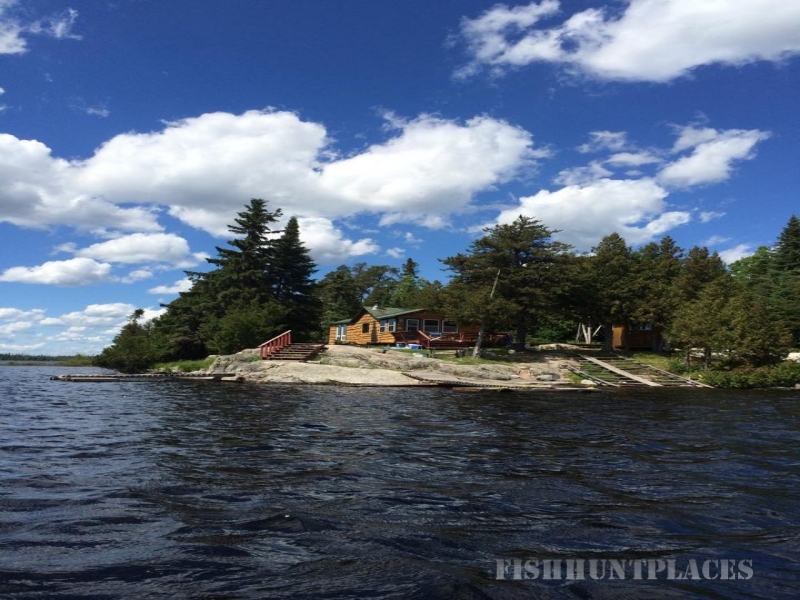 Fishing in : Canada : Ontario : OutpostCamps Inc.
Walleye are usually taken on live bait rigs such as a crawler harness, spinners or jigs. Drifting slowly or back trolling over drop off areas of weed beds, sandbars, rocky points and shoals will generally produce fish. 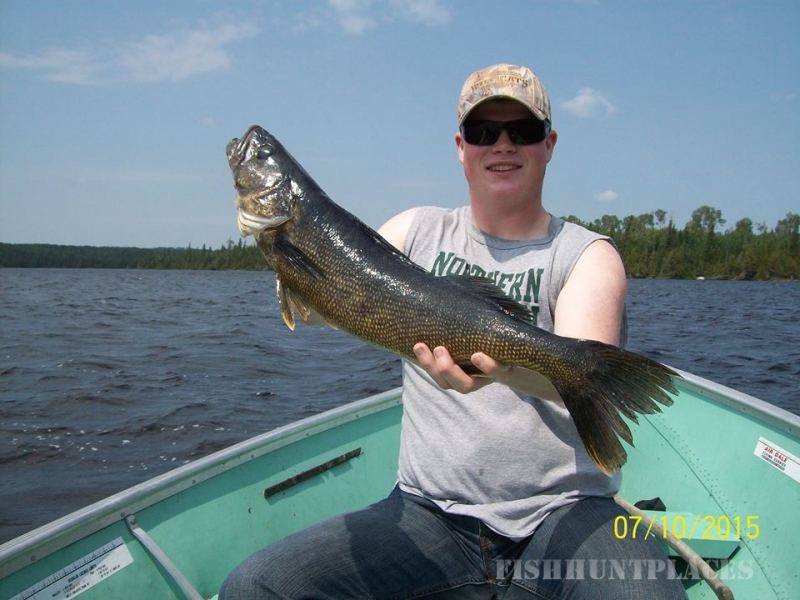 Walleye are most often caught in shallow water of 4 to 10 feet in the summer months. 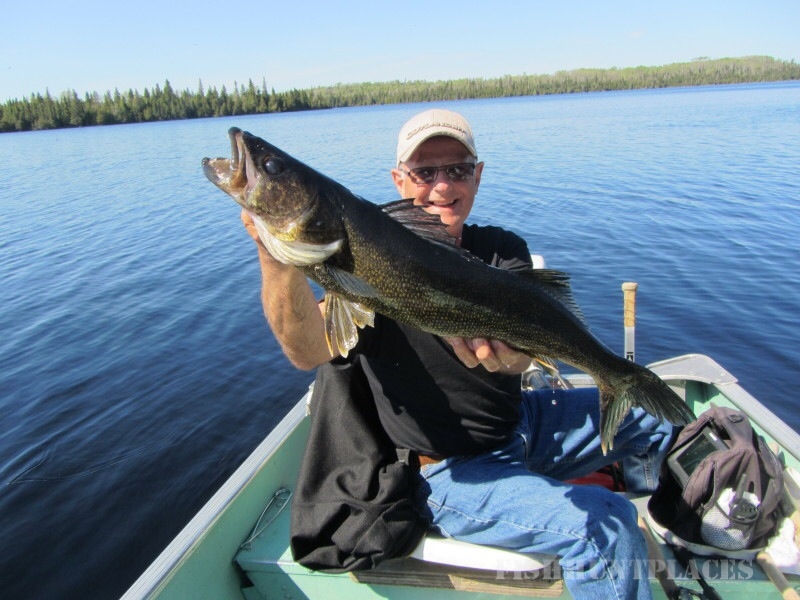 During late August and September, Walleye may move to deeper areas such as tips of points or sunken islands and move back into shallow areas during the late evening.Commonly used lures for Walleye are Mepps Spinners, Rapalas, Shad Rap and Mister Twister Jigs. 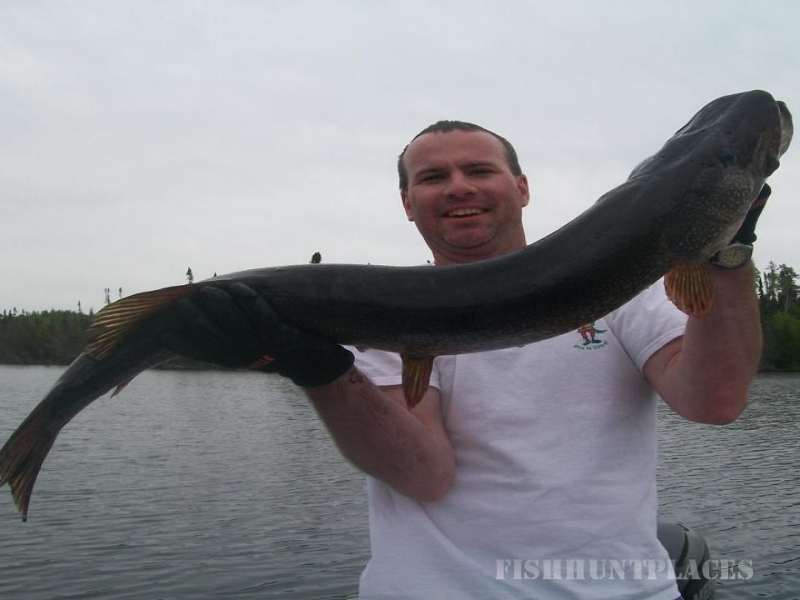 Northern Pike are most commonly caught near the edges of weed beds and off the ends of rocky points during summer months. Northerns will take up temporary residence in shallows but will progressively move toward deeper water in later summer and fall. Best results are usually achieved using spoon type or other slow moving lures by slow trolling or casting. 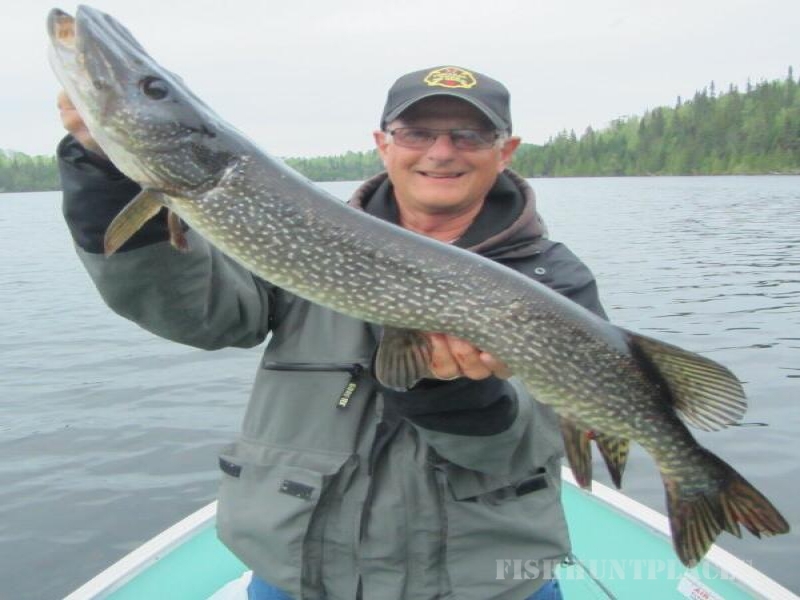 When casting, ensure action pauses occur during the retrieval process.Commonly used lures for Northern Pike are Daredevils, Rapalas, Jointed Rapalas, and Williams spoons as well as live bait rigs like crawler harnesses. During periods of cool water in May and June, Speckled Trout feed along shorelines in very shallow water and can be taken by casting towards overhanging tea brush using light spinners baited with night crawlers. Using flies on the surface during calm periods in fly season can be very successful as well. 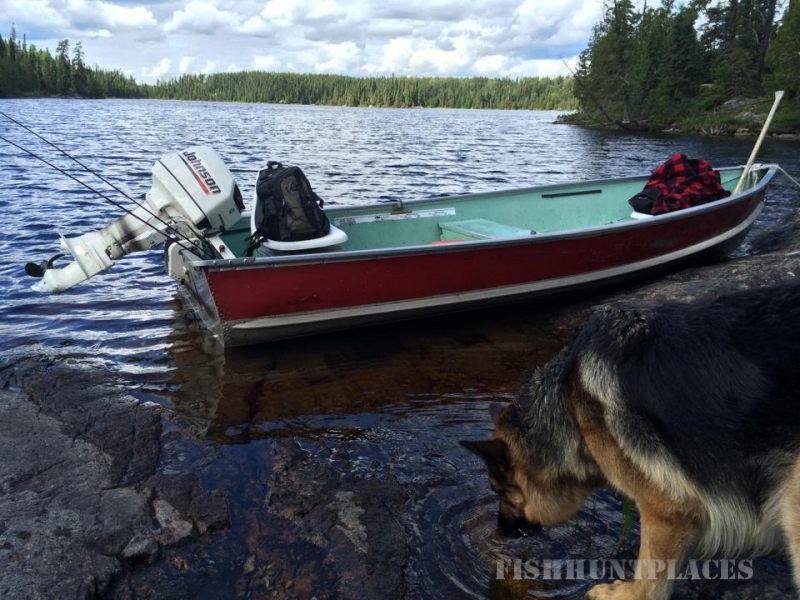 Later in the season, best results are achieved by the use of baited spinners in cool areas such as near logs, rocks, springs and waterfalls. Baited hooks are successful in deep waters on many occasions.Some of the most popular lures for Speckled Trout include Panther Martins, Abu Reflex, #1 Mepps and most other bright spinners tipped with night crawlers. Lake Trout are most active during early season when water temperatures are in the 40 to 50 degree range. However good results are achieved in summer months during early morning and late evening by trolling with baited lures using 8 lb test line on a medium weight rod in deep waters. Lake Trout will also venture into shallows when feeding. Slow motion jigging techniques using spoons or spinners in deep waters baited with minnows or night crawlers during warm water temperatures have resulted in many good catches. 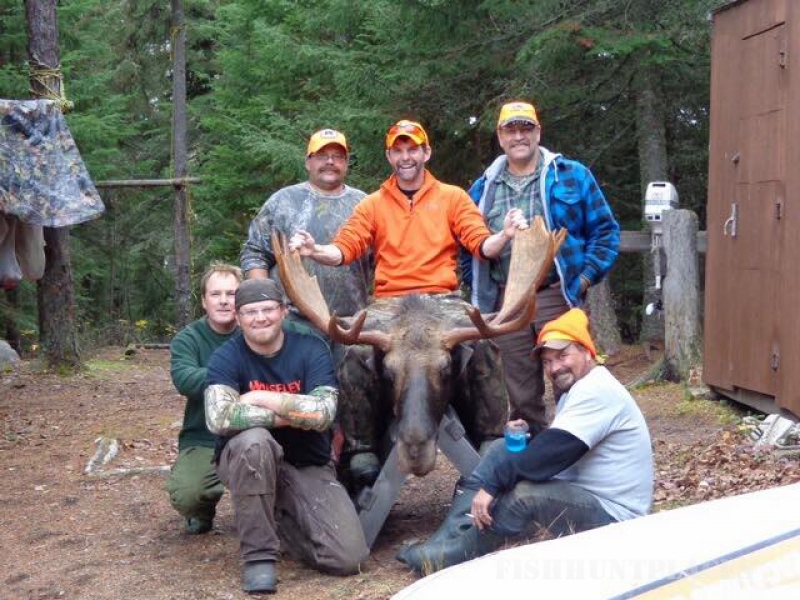 NOTE: Each hunting party receives 1 adult validation tag. NOTE: Number of bear tags per group are dependant on the bear management allocation.